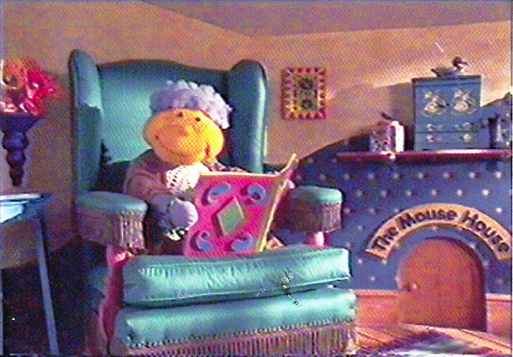 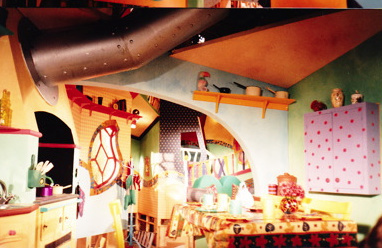 Hotch Potch House was an early years series for BBC Education.An all puppets set, it was produced by Julie Callanan and eleven episodes were completed in late 1995 for transmission in 1996.These sort of puppets, operated from below, mean that the set is all raised up on out of vision legs. 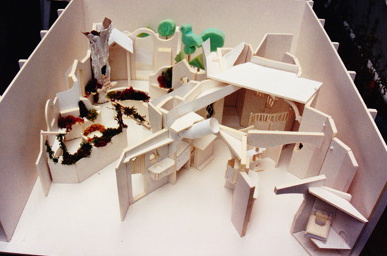 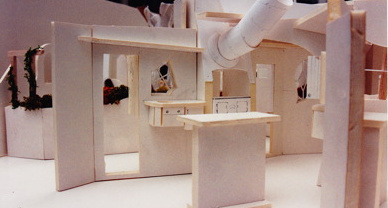 The Hotch Potch House model showing the complex 'rat run' of puppeteer hides. 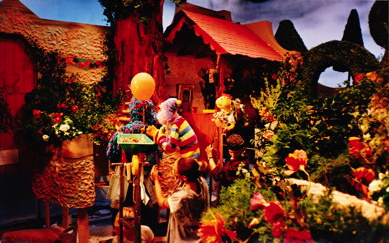 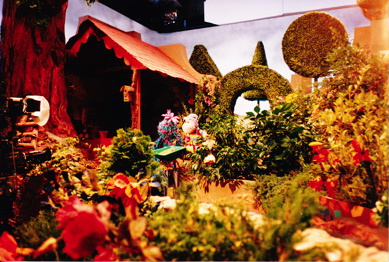 Showing the characters Woolley,Shelley and Rags with the puppeteers in the garden set. 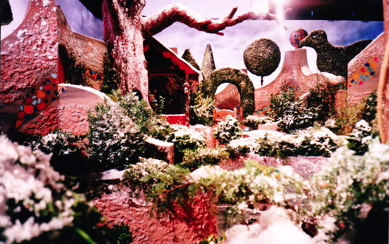 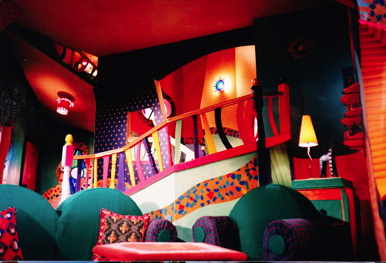 The Mouse House - This was a smaller sub set that later was used as the opener for it's own storytelling series after Hotch Potch was finished.